Below you can view all the homes for sale in the Flowers Crossing subdivision located in Lawrenceville Georgia. Listings in Flowers Crossing are updated daily from data we receive from the Atlanta multiple listing service. To learn more about any of these homes or to receive custom notifications when a new property is listed for sale in Flowers Crossing, give us a call at 404-998-4113. 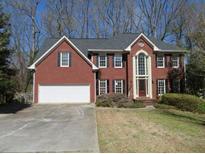 Located In The Highly Rated Brookwood School District. MLS#6537260. Keller Williams Realty Atl Part. Room, Full Bath, Bedroom And A Bonus Room. A Must See!!! Case #105-594764. MLS#6531580. Nation One Realty Group, Inc.. The Full Finished Basement Adds Plenty Of Extra Space With An Additional Bedroom, Full Bathroom, And Kitchenette. MLS#6530812. Realty One Group Edge. Home Comes With A 30-Day Buyback Guarantee. Terms And Conditions Apply. MLS#6525687. Opendoor Brokerage, Llc. Master Suite Has A Wonderful Sitting Area And Huge Closet, Oversized Secondary Bedrooms. MLS#6527429. Virtual Properties Realty.Com. Situated On A Corner Lot Between The Two Neighborhood Pools, 10 Tennis Courts, Clubhouse, Two Playgrounds, And A Lake And Walking Distance To Craig Elementary And Crews Middle. MLS#6525141. Virtual Properties Realty.Com. Crews, Craig And Brookwood Schools And Alexander Park. MLS#6525080. Re/Max Center. 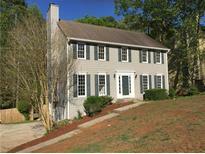 This Beautiful Home Has A Finished Basement. MLS#6524238. Trent Realty, Inc..
Community Amenities Include 2 Swimming Pools, 10 Tennis Courts, A Clubhouse, Lake And 2 Playgrounds. Walking Distance To Alexander Park. MLS#6520126. Keller Williams Realty Atl Part. Seller Pays Closing Costs W/ Full Price Offer. MLS#6514111. Keller Williams Realty Atl Part. Two Story Foyer, Bed/Bath On Main, Beautiful Kitchen Opens To Den & Vaulted Sun Room, Separate Sunny Breakfast Area, Large Living/Dining Areas, Gorgeous Master Suite W/French Doors To Bath & Large Secondary Beds/Bath, New Paint-Carpet-Flooring, Finished Bed/Bath On Terrace Level, Huge Extra Deep Three Car Garage, Flat Driveway For Fun & Games, Spotless Move In Condition! Fabulous Swim/Tennis/Clubhouse. Welcome Home! MLS#6123204. Virtual Properties Realty.Com. Hardwoods On Main, White Kitchen With Island, Newer Appliances, Newer Roof Has Architectural Shingles, Separate Dining Room With Wainscotting, Interior/Exterior Painted In 2016, Relaxing Deck Replaced 2016, Professionally Landscaped, Absolutely An Immaculate Home. You Will Not Be Disappointed. MLS#6507208. Berkshire Hathaway Homeservices Georgia Properties. 2 Finished Basement Rooms Great For Playrm, Craftrm, Or Storage. Swim/Tennis. MLS#6505576. Keller Williams North Atlanta. Walk To School And Park, Close To Shopping! MLS#6501533. Virtual Properties Realty. Biz. Full Daylight Basement With High Ceilings Ready To Finish! MLS#6502837. Realty One Group Edge. Screened Porch Overlooks Private Outdoor Living Space Including A Patio Perfect To Relax By The Firepit On Chilly Nights. Outbuilding For Additional Storage. MLS#6106479. Keller Williams Realty Atl Part. Home Also Has A Spacious Back Deck And Private Fenced In Backyard. MLS#6080010. Mark Spain Real Estate. Home Comes With A 30-Day Buyback Guarantee. Terms And Conditions Apply. MLS#6069314. Opendoor Brokerage, Llc.